I was sent back out into the world last year to be a lay person for sure. God did not want me in Tyburn, which broke my heart, but it was clear to me, after a second time, and after hearing God loud and clear to go out and pray and write, that I was to be lay. But, too many Catholics do not embrace the baptismal call of being lay. They either want the clericalism of careerism or they want to be clergy themselves. Our role is to be leaven in the world. We are to learn, to preach, to teach over coffee, at work, finding people who are open, ready to hear the Gospel. Be lay, and stop being clerical. But, read my post below on learning to be lay saints. If we are not evangelizing daily, we are not being Catholics living up to our baptismal promises and duties. Please pray daily as to how God can use you in your life to save souls. The age of the lay person should be the time of lay evangelization. Remember the remnant will be very, very, very small. Very. Within the long perfection series, I remind readers that there are over 235 posts on the Doctors of the Church. 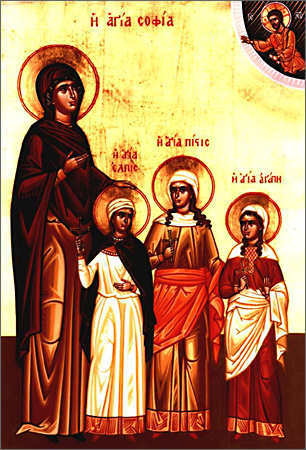 I have re-posted some in the past few weeks, just as a reminder, on some of the feast days of these great saints. St. John Chrysostom lived for a while in the very area in Syria now ravaged by civil war. He had an interesting take on monasteries. He thought that if one could become perfect in the world, as God had called all Catholics to become, one did not have to enter a monastery. The monastery was created because it was getting too hard to become perfect while in the world. 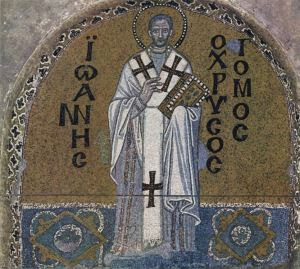 St. John Chrysostom had to leave to go to Antioch and serve the Church at large. Chrysostom's preference is not a contradiction to his teaching that Christian perfection is also possible in the world, because the superiority of virginity is not ethical but rather in its way and method. The sacred father concludes this from the following: Because life in the cities has been equated with the "goings on of Sodom", and because the prevailing corruption has eclipsed the necessary conditions to exercise Christian perfection. Because cities have, in his opinion, ended up in a satanic fire, a monastic community is safer. It was a prayer for Chrysostom to have a perfect society, so that monasteries were not necessary; that is, if society identified with the Church and the world identified with the kingdom of God. That is, if monks ruled, or kings "philosophized", there would be no need for monasticism. Worthy critics of the situation as it is in reality are not the monks, but those who make cities a rugged terrain of the virtues. St John Chrysostom is a Doctor of the Church and a man for our time. His time was rent with serious splits among Catholics and the failing Roman empire. His strengths were his great classical education and his intelligence, which coupled with faith brought about two mighty weapons against chaos-his oratory and exegesis of the Scriptures. We still use his sermons and insights today. 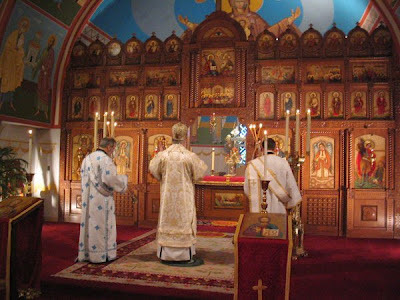 Of course, all Byzantine Catholics owe him great gratitude for the sublime Divine Liturgy he wrote. It is beautiful. I have been in this church pictured below. We need some Chrysostoms. Pray for them. Now. St. John Chrysostom, pray for us and for the Church. Here are two quotations from this great saint for parents. firm in faith, hope and charity! Through-out my life, I have had a love affair with truth. I love teaching logic and reading essays, encyclicals, and documents which follow exquisite rational discourse. Our faith embraces reason and rationality. We are made in the image and likeness of God and our intellect and rationality are part of that image and likeness. Along with the will and the immortal soul, reason marks each one of us as human, made for eternity. When I try and speak with youth, especially, or the Gen-Xers on faith being reasonable, I find that there is a resistance to the idea that we can reason out many truths in our religion. The sign of an adult faith formation is the use of reason with regard to doctrine and spirituality. But, the world, the flesh and the devil conspire to deny the use of reason with regard to the Faith. The over-emphasis on the appetites, the sensual, the idea that religion is always primarily "experiential", stop people of all ages of appropriating an adult faith. I have written on this many times under the label "thinking like Catholics", which many of you have read. Why logical reasoning has been denigrated has partly been for political reasons, partly because of the "Protestantization" of some Catholic circles, and partly because of laxity in the training of young minds. Without reasonable discourse being trained in schools, at home, and even in the workplace, the ability to reason atrophies and one becomes either the cog in the machine or a emotionally reactive person, only. This is what satan and his minions want; non-thinking Catholics, Catholics who only react, never reflect, do not read, do not study the Faith and do not want to apply the principles of religion to themselves. The unthinking Catholic cannot form a correct, right conscience and cannot critique the deceit of the world, the flesh, and the devil. But, none of the intellectual capacities truly "work" with grace. Grace purifies and hones the intellect. The Benedictines have known this since the beginning of the Rule. 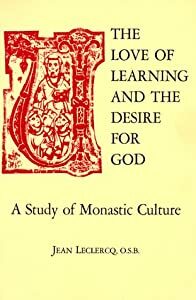 The love of learning in the abbey schools was always connected to the desire for God, as one of my favorite books explained to me so long ago when I first read this masterpiece. Since I started my blog in 2007, I have been referring to this book, but even though one may not read the book, the ideal is presentable is a simple phrase. If one desires God, one will seek Him in learning. 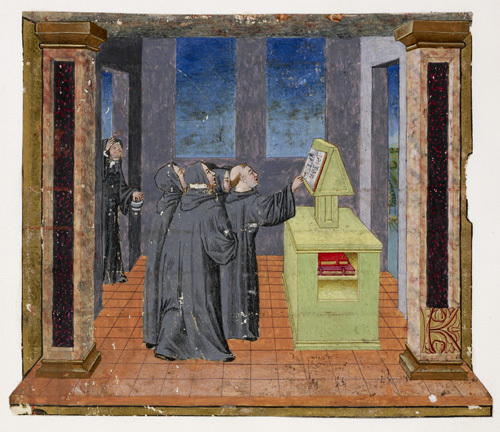 When St Anselm, in order to renew the seminaries, introduced the classical Trivium and Quadrivium into the training for the priesthood, he got his ideas from his own Benedictine order. Included in those studies were geometry, astronomy, music, art, mathematics, grammar. The study of the Scriptures, the Doctors of the Church, and other Catholic literature, as well as philosophy, theology, and logic, brought alive the intellect to be cleaned from the cobwebs of the world in order to shine forth for the building of the Kingdom of God. 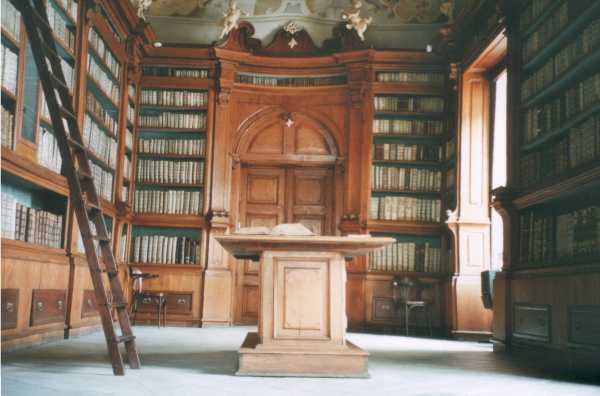 Some of the oldest libraries in the world are monastic. Are you learning to think like a Catholic? Ask yourself today, why this is more important now than ever before in the history of the world. Oh, my soul, how much longer do you wish to be so stingy with Jesus? Why so negligent towards Jesus who made You? Why so lazy towards Jesus who redeemed you? Who do you want to love, if you do not want to love Jesus? St. Gemma Galgani. To know is to love and to love is to want to know. The pursuit of knowledge, using logic and reason, brings us closer to the One is Knows Himself and knows us intimately. There is a great mystery in learning and remembering, in that one creates, as Henri Gilson notes, a sort of metaphysical background to the soul"
Slowly, through the Dark Night, when one's intellect and soul are cleansed, one comes to the real knowledge of self and God, as much as He reveals Himself this side of death. This knowledge become a huge oasis, or universe surrounding one with the omnipresence of God, as Gilson notes, with the growing knowledge of the Indwelling of the Trinity. Except for the chosen few mystics, like St. Gemma Galgani, or the young saints like St. Therese, the Little Flower who have infused knowledge, for most of us, the way through the years and years of learning and seeking, through the Dark Night into the Illuminative State is one of intense suffering and pain. They do not desire God enough to get out of their comforts zones in order to really learn, use the reason God has given them, and not only for themselves, but for the world, which is starving for reason. Those who deny themselves the time, or waste time instead of pursuing the knowledge of God may one day stand in heaven and see the great saints they could have been, if they had responded to the grace of learning. Only in the Dark Night of the Soul is one then allowed to die to memory and understanding, as God takes that which has been learned and changes all into the infused knowledge of sheer grace. This can only happen after the purification of the imagination and memory. Do not waste any time. Read, study, think, reflect, pray, act. Be a Catholic. Think like St. Bernard below....from On Loving God. Truth, since our Lord is Truth (I Cor. 1.31; John 14.6). thou know not, go thy way forth by the footsteps of the flock' .. Spirit. Some are atheists, some are pagans, some are those of man-made religions, some are Catholics. Some Catholics daily blaspheme the Holy Spirit sit next to us in Church, live in our families, teach in Catholic schools, speak from the pulpit. What does it mean to blaspheme against the Holy Spirit? The CCC notes, 1864 "Therefore I tell you, every sin and blasphemy will be forgiven men, but the blasphemy against the Spirit will not be forgiven. "136 There are no limits to the mercy of God, but anyone who deliberately refuses to accept his mercy by repenting, rejects the forgiveness of his sins and the salvation offered by the Holy Spirit.137 Such hardness of heart can lead to final impenitence and eternal loss. What does this mean? Why is this sin so serious? This sin is the absolute rejection of salvation, the total rejection of repentance and accepting Christ as Savior. This sin is the non-acceptance of forgiveness, thinking that one's sins are too horrible for forgiveness. It is a sin which is based on obstinacy, despair, envy, resistance to Truth, Who is a Person. Why is this sin so serious? Because all people are given grace to repent. All. No one is not given grace sufficient to repentance. It is a serious sin, as it denies Christ Himself as Savior, as King, as Messiah, as God. Pray for those around us who are tempted or even living in this great sin. Pray. 22 And the scribes who were come down from Jerusalem, said: He hath Beelzebub, and by the prince of devils he casteth out devils. 23 And after he had called them together, he said to them in parables: How can Satan cast out Satan? 24 And if a kingdom be divided against itself, that kingdom cannot stand. 25 And if a house be divided against itself, that house cannot stand. 26 And if Satan be risen up against himself, he is divided, and cannot stand, but hath an end. 27 No man can enter into the house of a strong man and rob him of his goods, unless he first bind the strong man, and then shall he plunder his house. 29 But he that shall blaspheme against the Holy Ghost, shall never have forgiveness, but shall be guilty of an everlasting sin. 30 Because they said: He hath an unclean spirit. 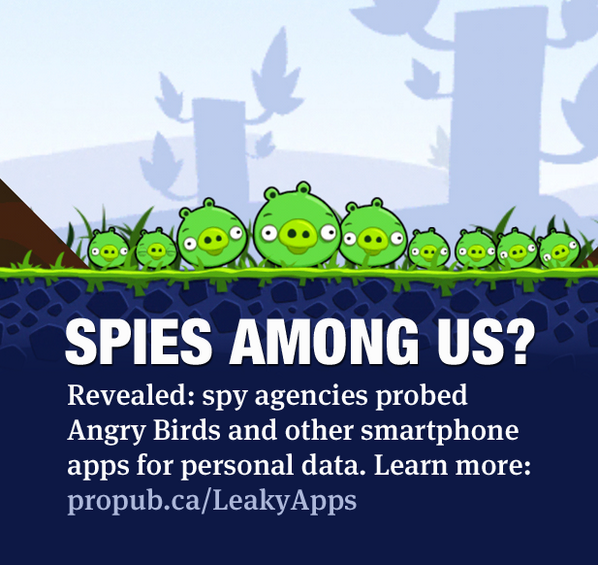 The National Security Agency is involved in industrial espionage and will take intelligence regardless of its value to national security, the former NSA contractor Edward Snowden has told a German television network. In text released ahead of a lengthy interview to be broadcast on Sunday, the public broadcaster ARD TV quoted Snowden saying the NSA does not limit its espionage to issues of national security and citing the German engineering firm Siemens as one target. “If there's information at Siemens that's beneficial to US national interests – even if it doesn't have anything to do with national security – then they'll take that information nevertheless,” Snowden said, according to ARD, which recorded the interview in Russia, where Snowden has claimed asylum.